I love chocolate,so for me,it’s lovely.i add extra water so it lasts longer. I was sceptical of shakes after previously trying ones that tasted bland and bitty. These ones are tasty, smooth and filling. I actually enjoy them and have chosen them over toast on a cheat day! Try you won't be disappointed. Surprisingly a very chocolatey taste, I sometimes put half skimmed milk and water and it's even tastier! My absolute favourite shake by far! Tastes just like a normal chocolate shake and gives me my sugar fix as I have quite a sweet tooth. My go to when I am craving anything sweet, meaning I can stay focused and on track! Highly recommend! Like the taste of this Chocolate shake it is really smooth. I use 100ml more water and find this is just right for me. 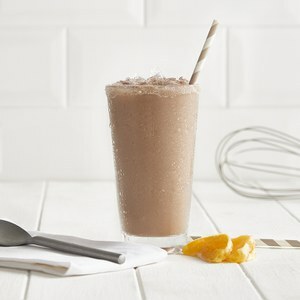 This shake is brilliant if you get a sweet tooth hot or cold it makes you feel your having a real treat. This is one of my favourite shakes. a real chocolate hit! I love the choc shake ! Literally live it . I have one hot every evening . Even if I wasn’t on a diet I’d want this shake in my life . I just add hot water and blast it in the blender and the final result is a frothy smooth hot chocolate . Delicious!